Strict new rules on evicting tenants will apply to landlords with older tenancy agreements from next week. The regulations affect tenancies in England that pre-date October 2015, and bring the eviction process for older contracts in line with those commenced more recently. Here, we explain how the new rules will work, offer advice on the eviction process and and take a look at some of the other regulations landlords need to be aware of. If you’re considering refinancing your buy-to-let portfolio, call Which? Mortgage Advisers on 0800 197 8461 for advice on your mortgage options. From next Monday, eviction rules that were introduced for new tenancies in the 2015 Deregulation Act will also apply to tenancies started before October 2015. The ‘new’ rules mean that landlords will no longer be able to serve notice in any written form, and will instead need to use form 6A if they want to offer a ‘no fault’ possession notice. To reclaim ownership of a property that has an assured shorthold tenancy (AST) agreement, landlords must serve their tenants with a ‘section 21’ notice, giving two months notice of their intentions. Landlords will also need to wait at least four months from the start of a tenancy before serving notice. Any new tenancies commenced in England must also be accompanied by the latest version of the government’s How to Rent guide. Two other rules were also brought forward in the 2015 Deregulation Act, but it’s still not clear whether they’ll also come into force for older tenancies from next week. Landlords won’t be able to serve a section 21 notice within six months of an improvement notice or emergency remedial action notice being served by a local council. Update (26 September): The Ministry of Housing, Communities and Local Government (MHCLG) has confirmed to Which? that the above rules will not apply to tenancies commenced before 1 October 2015. How you serve an eviction notice in England will depend on the type of tenancy agreement you have and whether the tenant has breached the terms of the contract. A section 21 notice provides ‘notice of possession’ to your tenant. This ‘no fault’ notice can be provided for any reason at the end of a fixed-term agreement, during an agreed break period or if a contract is ‘rolling’ at the end of its original term. A section 8 notice is served if the tenant has given you grounds for eviction, for example if they haven’t paid rent or have damaged the property. Section 8 notices should only be used as a last resort after you’ve tried to reach an agreement with your tenant. If a tenant refuses to leave, you might be able to serve them with a possession order to the local County Court. The full guide from Which? Consumer Rights explains everything you need to know about how to legally evict your tenant. Alternatively, if you’re a tenant facing eviction, you can find help in our guide to tenants rights. These section 21 rules aren’t the only regulations coming into force next week for landlords. Indeed, landlords letting out Houses in Multiple Occupation (HMOs) face a series of new licensing and minimum space rules from October. For example, houses under three stories high that meet other HMO specifications will now need a licence. The Residential Landlords Association estimates that these changes will mean 177,000 additional landlords will require licences. Get the lowdown in our full story on the new HMO rules. It’s a complicated time to be a landlord, with a swathe of new rules over the last few years adding to costs and cutting profits. 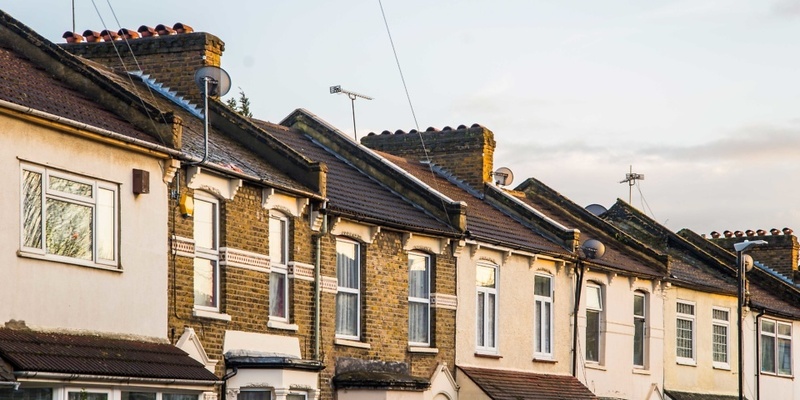 The two most well-publicised changes – the 3% premium on top of standard stamp duty rates, and the tapering of mortgage interest tax relief – have gained plenty of column inches, but they’re by no means the only changes landlords need to be aware of. For example, some landlords also face stricter affordability testing, selective local licensing schemes and new regulations around energy efficiency standards that they must adhere to or face fines. Find out more in our full story on things buy-to-let landlords need to know in 2018. There could also be some more changes on the way in 2019, with the government currently debating two possible policies. The first, a ban on residential letting fees in England, seems highly likely to come into force at some point in 2019. The Tenant Fees Bill, which is set for its next reading in the commons on 10 October, will mean letting agents will no longer be able to charge tenants for reference checks and administration costs. It will also place a cap of six weeks’ rent being provided as an up-front deposit. The Welsh parliament is considering a similar bill, and fees have already long been banned in Scotland. The second proposal, to bring in three-year minimum tenancies, now seems less certain to go ahead in 2019. The government launched an eight-week consultation in to bringing in minimum three-year leases with six month break clauses, but there are growing rumours this plan could be shelved. If you looking for the right mortgage for your buy-to-let, Which? Mortgage Advisers can help you find a deal that suits your circumstances. You can request a free callback below.